This decal features the film version of Iron Man in his iconic suit! 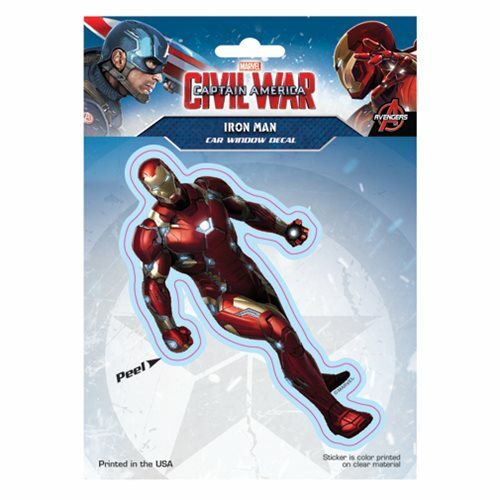 The Captain America: Civil War Iron Man Decal is perfect for use on car windows, laptops, tablets and more! Made of high quality polyester and then printed, this decal is going to last, whether it's used inside or out! Measures approximately 6-inches tall and 3 1/2-inches wide. Ages 13 and up.